Every family has drama. Depending on the size, it can be a constant issue whenever the entire unit comes together, or it can simmer and rise to the surface only on occasion. In a large family, when almost everyone lives in the same place and just a small subset lives elsewhere, the reunion of the group can be the perfect opportunity for strife and discord, be it outright or much subtler. In the end, whatever disagreements there are may be innocuous or have far deeper implications that can pose a serious lasting danger to its members. Laura (Penélope Cruz) travels from Argentina to her hometown in Spain with her daughter Irene (Carla Campra) and her son Diego (Iván Chavero) to celebrate the wedding of her sister Ana (Inma Cuesta). The festivities quickly turn sour when Irene goes missing during the night and a ransom text arrives threatening to kill her if the police are contacted. With her husband, Alejandro (Ricardo Darín) home in Argentina, Laura turns to her brother-in-law Fernando (Eduard Fernández) and the close friend she used to love, Paco (Javier Bardem), for help in getting back her daughter as everyone she knows begins to come under suspicion. This film’s title refers to the fact that Laura and Paco’s romantic history is widely discussed all throughout town, leading to an excessive investment in Laura’s saga by Paco, whose wife Bea (Bárbara Lennie) is particularly displeased with the attention he shows the woman who is not his spouse. 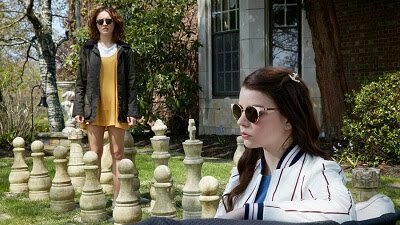 The actual plot of this film, which casts a paranoid search for destructive elements that seek to harm an innocent teenager, isn’t nearly as interesting as the ensemble of characters whose relationships are exposed and tested constantly as they are tormented by this unimaginable situation. This is the second film to reach American audiences this year starring real-life couple Cruz and Bardem. Their pairing here is far more effective than in “Loving Pablo,” with each turning in a powerful performance as distraught individuals who share a long history. Lennie, who starred in “Sunday’s Illness” earlier this year, is the standout of the film, crafting a strong woman who refuses to let her life be controlled by someone else without her consent. Director Asghar Farhadi, who has two Oscars for his Iranian films “A Separation” and “The Salesman,” has created a Spanish-language drama that engages its audiences with an intriguing premise but doesn’t satisfactorily reward them for their investment.